Freedom Rockz: Check it Out~ 12 Days of Free Gifts! Check it Out~ 12 Days of Free Gifts! 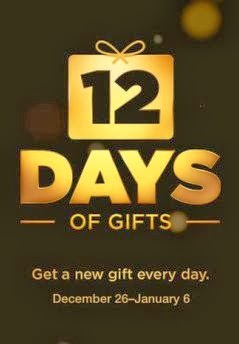 From December 26, 2013 to January 6, 2014 you can download a gift each day—songs, apps, books, movies, and more—with the 12 Days of Gifts app. Each day's gift will only be available for 24 hours, so download the free app to make sure you don’t miss out. ...Unfortunately not all content is available in all countries.